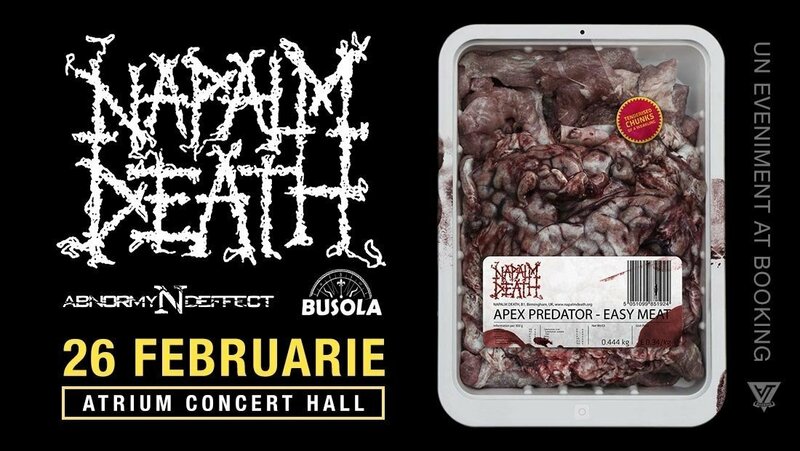 Napalm Death is a legendary British metal band, formed in 1981. This band is considered an important influence of underground music throughout the global metal community. Being the real pioneers of the grindcore genre, Napalm Death members incorporate punk rock and death metal into their music, combining the distorted sound of the guitars and the noisy bass with guttural growling and acute screaming on ultra-fast blast-beating rhythms. Although the band's songs are relatively short, they have a profound message due to the sociopolitical lyrics and the unmistakable stamp of vocalist Mark "Barney" Greenway. Until now, Napalm Death have released fifteen studio albums, being ranked in the Top 10 most sold extreme metal bands in the world.